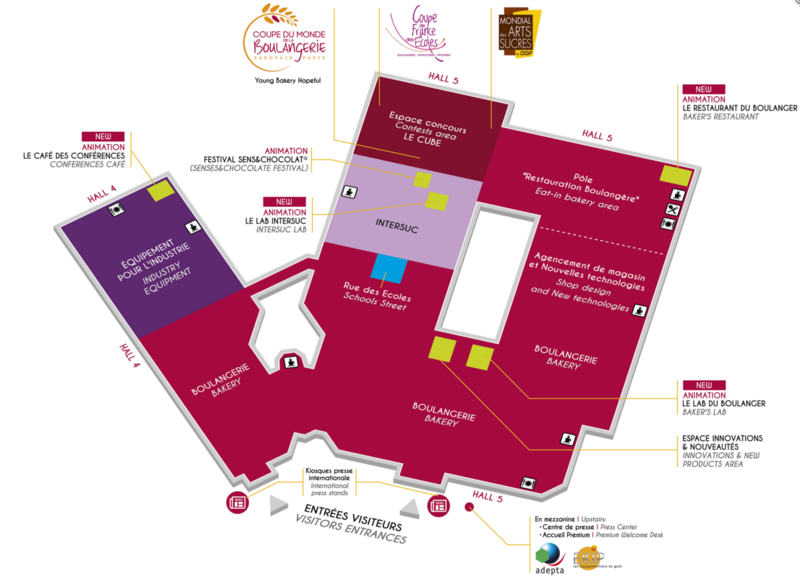 Europain and Intersuc, the unmissable event for boulangerie and pastry professionals, will take place every day from February 5 to 9 2016 at Paris Nord - Villepinte. This year, there will be 800 exhibitors, and more than 2 500 demonstrations are planned to take place during the exhibition. There will be numerous innovations at this year’s exhibition including The Baker’s Lab and The Intersuc Lab , both featuring events and demonstrations showcasing the latest trends and all that is new in the boulangerie sector. The exhibition will also host three prestigious contests: the Bakery World Cup, the International Confectionery Art Competition and the French Schools Cup. 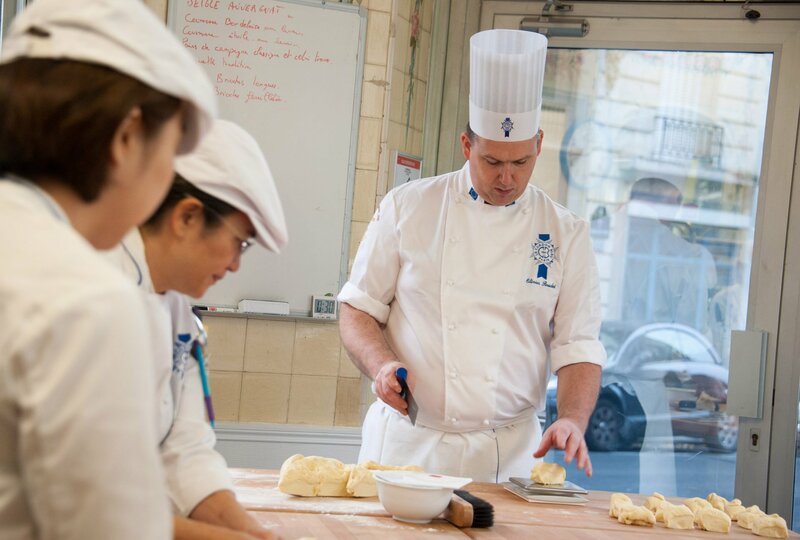 You will find our Chef Instructors and Le Cordon Bleu students in Hall 5, stand E86, in the “rue des écoles” (Schools Street), between the Bakery and Intersuc exhibition areas. This exhibition provides the ideal opportunity to come and find out all about both our boulangerie Diploma and all Le Cordon Bleu Culinary Arts and Management programmes and workshops which are available throughout the year! Chef Olivier Boudot will carry out a series of demonstrations on our stand throughout the exhibition. He will also be in the Bakery Lab (Hall 5) on February 8 2016 to give a training session on traditional viennoiseries. For further details about this event, go to the Europain and Intersuc internet site. These professional competitions provide the opportunity to witness breathtaking techniques and creations first hand! 32 candidates from 16 countries will compete during 4 days of intense competition. The competitors will make: 3 artistic pieces (1 in sugar, 1 in chocolate and 1 in pastillage); 6 creations that will be tasted: plated dessert, entremets and a variety of sweets and cakes. Chef Emmanuel Lottefier from Le Cordon Bleu Australia and Yelyzaveta Glinska, Le Cordon Bleu Paris alumna from Ukraine will take part in the International Confectionery Art Competition. 12 teams made up of 3 candidates from all over the world will compete over 4 days. The competitors will make: Baguette and Breads of the World, Viennoiserie and Gourmet Bread and an Artistic Creation. This Cup, which is open to youngsters who are currently training, aims to encourage the dissemination of expertise by showcasing young French talent. Le Cordon Bleu Paris Pastry Diploma alumna, Keiko Nagae, will be a jury member in the “Excellence” category. This year, rare cocoa and Venezuelan chocolate will be the stars of the show. On the agenda: 2 contests and 1 professional master class.